Russia is one of the biggest FOREX holders on earth after the Chinese and Japanese. The US has seven trillion in IOUs held overseas due to the biggest trade deficit in the history of humanity. The US tried desperately to destroy Russia’s banking system this year. But it was, as I accurately predicted, a laughing failure. Instead, the mess caused the euro to nearly collapse. 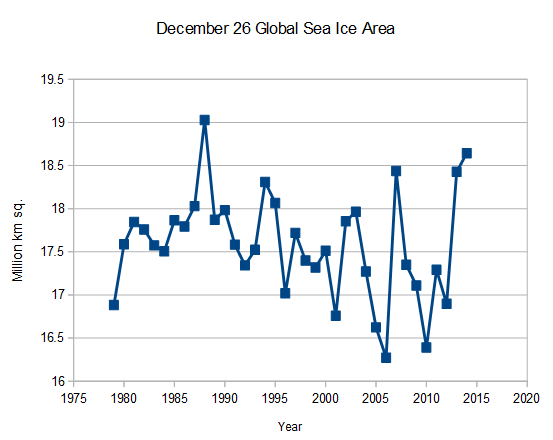 Global Sea Ice Area Second Highest On Record as the ICPP claims this is the warmest year ever. The cold cycles have shifted mainly to Europe and Asia this winter, this month. While we have a global oil glut caused by derivative futures deals made by traders, all the oil export nations including Russia and Saudi Arabia are seeing profits fall. The US is betting on Russia falling into chaos due to this but I am betting it will be the Saudis who will fall. OPEC was from day one, a cartel. Like all cartels, they made lots of money at first. But over time, everyone under the sun began competing because prices were artificially high and this lead to the inevitable gluts and sudden price collapses. The only tool to fix this for the Saudis and Texans was to generate wars against energy producers and boycotts like the one against Iran. This has now failed utterly. Also, rich bankers cooked up a stupid commodity futures scam called ‘derivatives’ which originally was only for wheat and corn, betting on the weather. Now, it is everywhere and utterly toxic and extremely prone to create price bubbles and collapses. This stupid market always goes rapidly to infinity and infinity is the bane of humans because it always ends with nothing instead of everything. 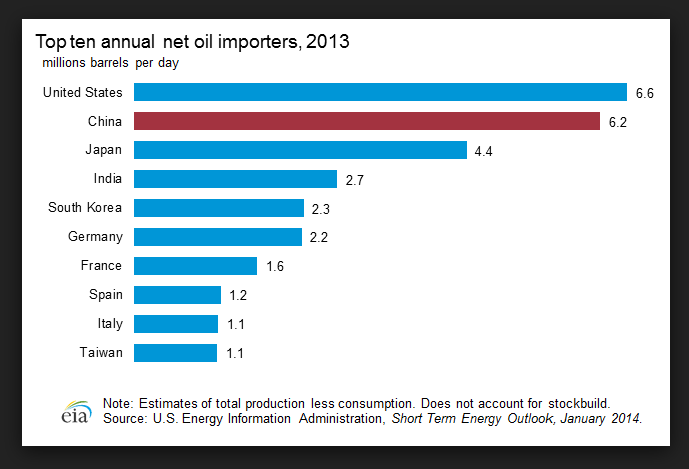 There is wild talk in DC and the EU about the US exporting oil to ‘save’ Europe from Russia. But a quick peek at the above information shows this to be an insane fantasy cooked up by the US media Bilderbergers and the corrupt government in DC. It is ridiculous. Totally ridiculous. The US is the world’s biggest IMPORTER of oil, not exporter and we are still preventing Iran from selling oil in world markets. The global warming propaganda is in full scream now. The Washington Post, owned by a California dude who owns huge mansions and private jets, is howling about how we are all going to roast to death unless we ride bikes and live in ‘tiny houses’ which our billionaire media owners have been lavishing praise. The above graphs used by the WP to describe the climate are presented with false interpretations. So I corrected this by adding some data lines to fix the problems and lo and hehold: no global warming. Tagged as Antarctica, blizzards, cap and trade, climate change, CO2, energy, EPA, freezing, gas, global warming, Jeff Bezos, Mongolia, Oil, Russia, solar cycles, sun, sunspots, What's Up With That? The battle over Ukraine has begun. The US/NATO alliance working for the IMF have forced an attack on the other half of Ukraine and many have been killed already. Russia is furious and this is the usual double standard: it is OK for NATO to murder but everyone else has to be gentle and kind. Japan’s trade statistics are terrible, Japan is now wallowing in red in both government spending and trade just like the US. 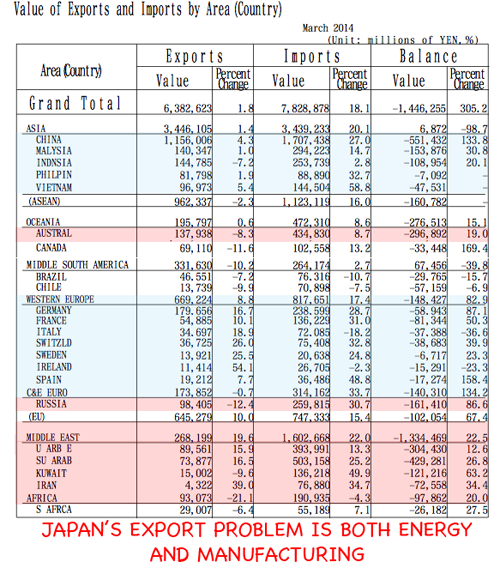 The above graph’s red parts are energy trade deficits while the blue represents Japan’s imports from industrial nations, mostly China and the EU. Japan cannot run on red ink forever and Fukushima is a huge budget hole that is destroying a large sector of Japan and menaces the entire population with future cancer rates going very high. Japan’s economic problems perfectly mirror the US only with the added population decline problem making problems in the future.